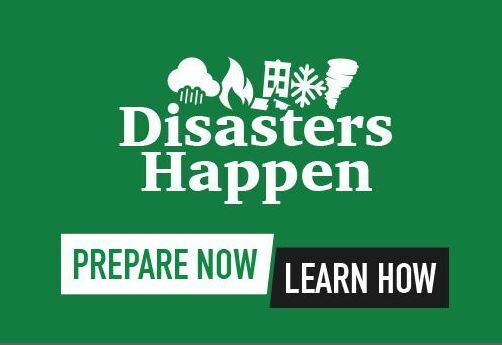 Union County, NJ – September is National Preparedness month, and with the season’s first coastal storms forming in the Atlantic Ocean, the Union County Board of Chosen Freeholders reminds residents to prepare now in case of extreme weather. “Now is the time to take stock of your home or business, and ensure that you are prepared to keep safe in case of stormy weather,” said Freeholder Chairman Sergio Granados. Forecasters are currently tracking Hurricane Florence. The storm is heading northward from Bermuda. It could take any one of several different pathways, from veering harmlessly out to sea or turning in to impact the US east coast. Basic preparedness guidance includes assembling an emergency kit that provides for three to five days of supplies in case of interruption in electricity, water service, access to a supermarket or other local services. Emergency kits should include non-perishable food and water, prescription medications, baby supplies and any additional items for special medical needs. The kit should also include important phone numbers for doctors as well as cell phone chargers. A battery-operated radio, flash lights, extra batteries as well as non-electric items likes can openers should also be included. The needs of pets should also be taken into consideration when planning and making an emergency kit. Staying aware of developing news is also vitally important. Residents are urged to sign up for Union County’s free alert system, First Alert, at ucnj.org/alerts, to receive automatic alerts and updates on their mobile devices and computers. Residents without Internet access will receive alerts on their land line phones through the reverse 9-11 system. For more guidance on emergency preparedness in Union County, visit ucnj.org/prepare. In recognition of National Preparedness Month, the Federal Emergency Management Agency has issued a series of detailed guidelines designed to help the public learn and practice emergency skills. Learn more at ready.gov/september.